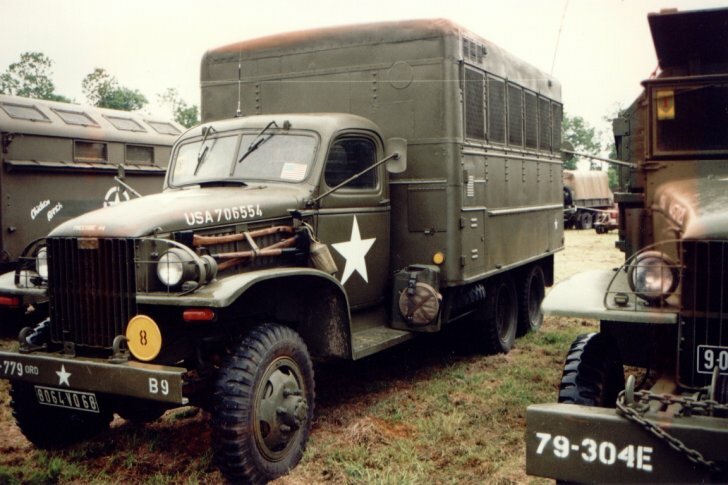 These photos will come in handy for modelers looking to create one of these mobile shops with the Calibre 35 maintenance truck conversion kit for Tamiya's GMC 2 1/2 Ton 6x6 "Deuce and a Half" (and which would likely work on Italeri's open and hard-topped kits as well). Michael Powell has kindly provided the color photos. 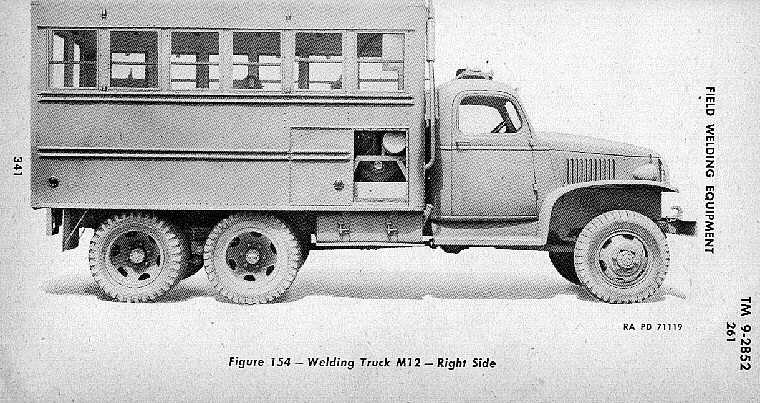 The black and white images are from "The American Arsenal: The World War II Official Standard Ordnance Catalogue" and the technical manual for the M12 welding truck, the latter provided by Steve Malikoff. There were several types of trucks beyond those pictured below, including the automotive repair truck, for general vehicle maintenance; the electrical repair truck, for various types of automotive electrical equipment; the instrument bench truck, to maintain and repair special fire-control equipment; and the tire repair truck. 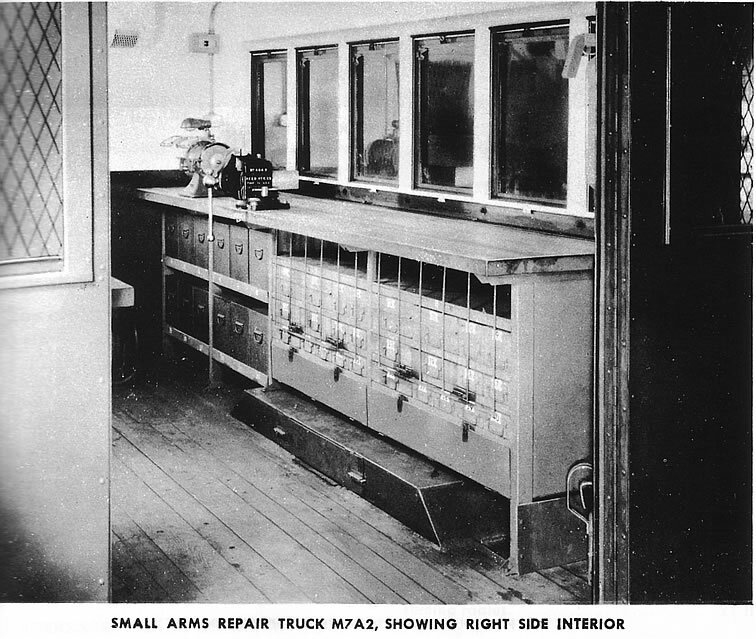 Of the vehicles shown, only the machine shop welding trucks had their own electrical generator; the others got their electricity from other generators in the maintenance unit. 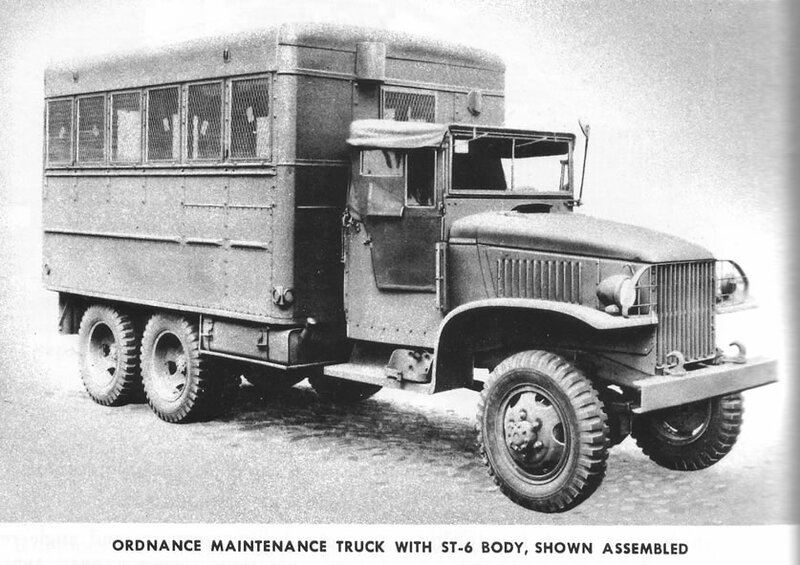 This vehicle was used for maintenance of various artillery items by the Heavy Maintenance Companies. Equipment included tackle blocks, rope, chain hoists, a 1-ton collapsible tripod, electrical cords, portable electric drill, vise, and various hand tools. Used for repair and maintenance of optical instruments and equipment (perhaps AFV sighting devices? 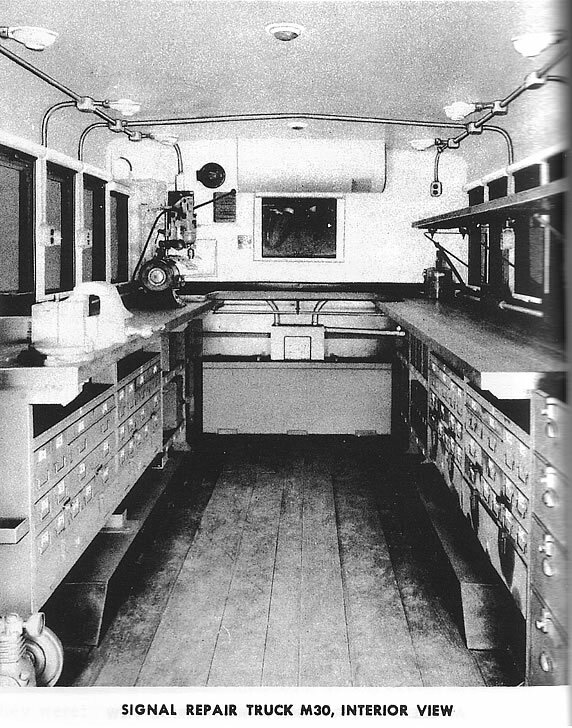 ), this truck's equipment included a 10 inch bench lathe, drill press, 1/2 ton arbor press, electrical bench grinder, surface plates with leveling screws, mandrel sets, drill sets, clamps, gauges, assorted hand tools. Outrigger jacks were provided to stabilize the truck for delicate repair work. 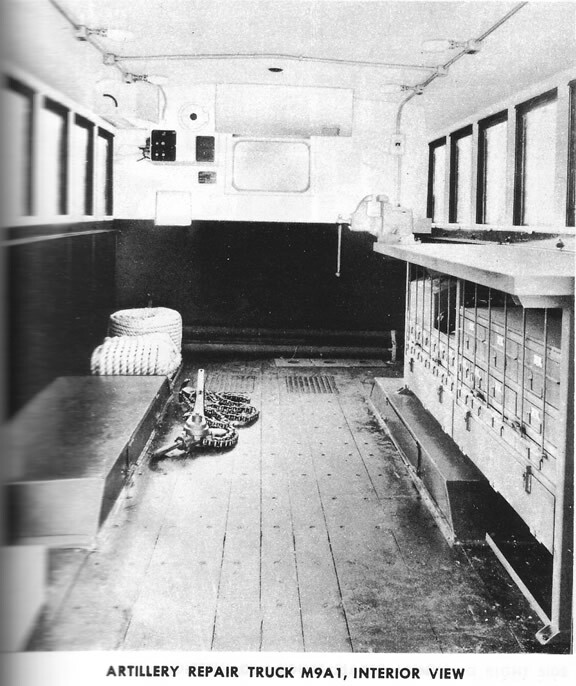 The M12 has a hardtop cab. 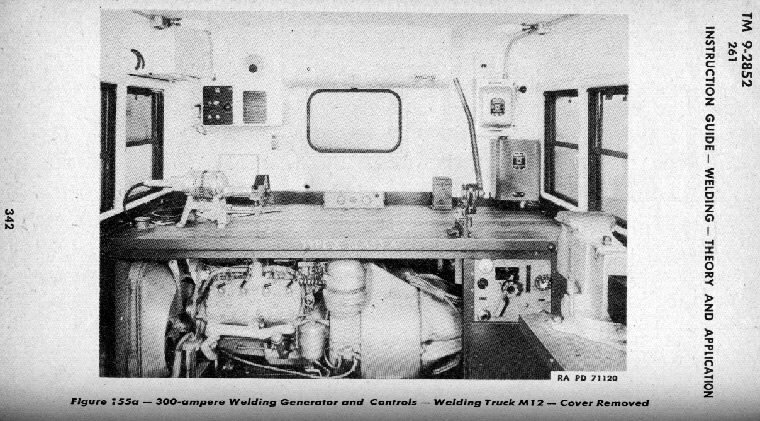 The generator is the same as the machine shop variant and powered the arc welder. 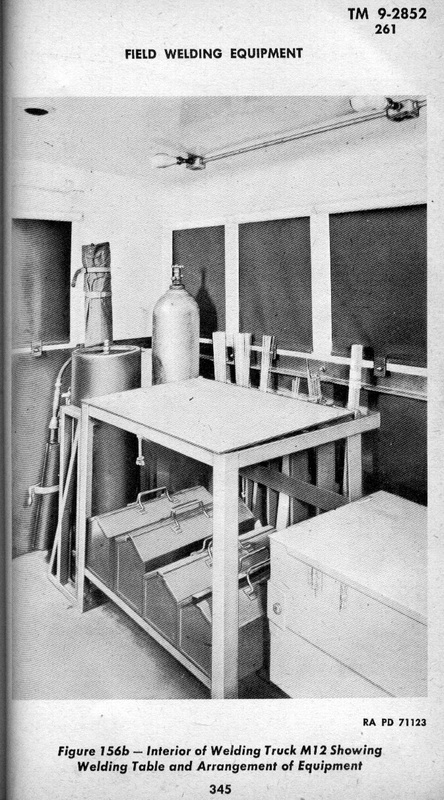 The images come from TM 9-2852 on Welding Theory and Application, 3rd June 1943. According to Steve Malikoff, it's a great TM and still very relevant on technique and equipment, including a detailed chapter on how to repair shell holes and cracks in armor plate using a variety of methods. 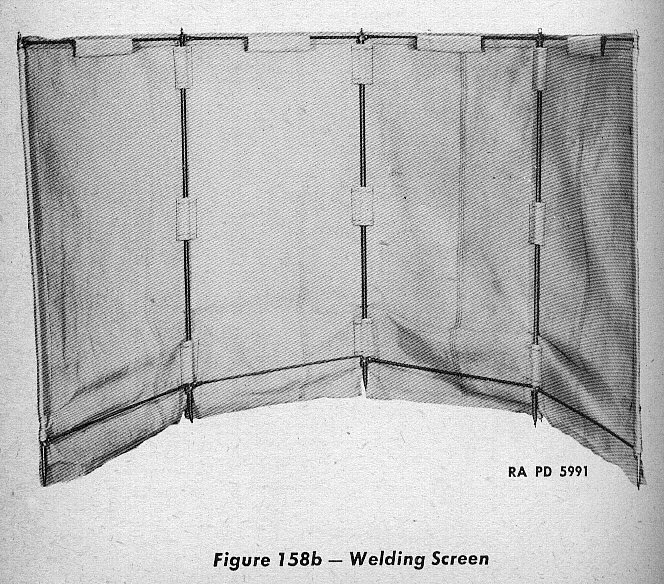 This lightproof welding screen and snap-on window curtains were provided to shield the work being welded and prevent detection when welding at night. These trucks were used for general machine shop work. 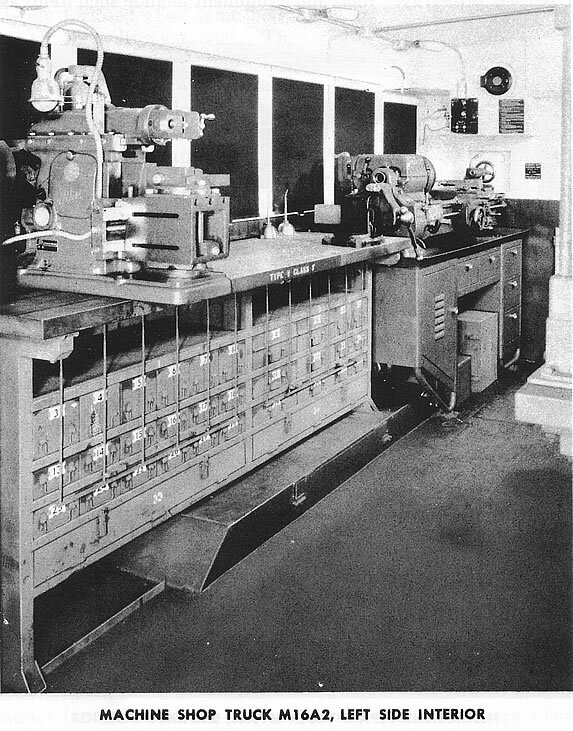 While M16A1 was basically a heavy lathe truck, M16A2 had a 10 inch bench lathe, a 7 inch bench shaper, an electric bench grinder, a 10-ton hydraulic press, and a special 1/2 inch drill press that was "very much like a radial drill." It had a full complement of hand tools, gauges, calipers, extractors, etc. 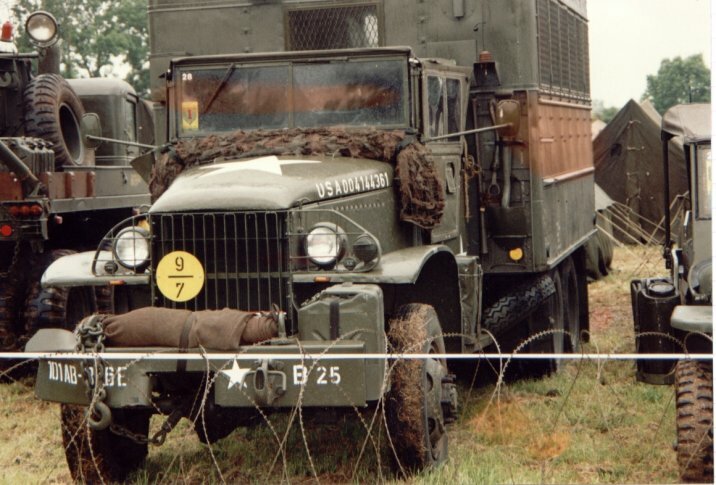 The Signal Corps used this truck to repair radio, wire, and radar equipment. 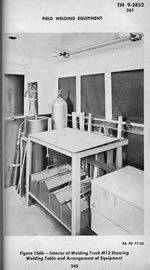 The M30 had a shock-proof shell for carrying delicate testing equipment, a small air compressor for cleaning purposes, a 12-volt battery, battery charger, and additional electrical outlets for simultaneous repair and testing of several pieces of equipment. This was for weapons maintenance service. 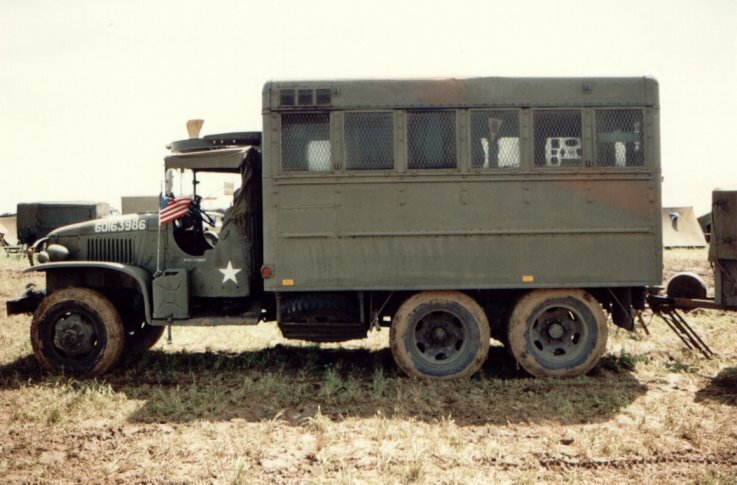 It features storage for spare weapons parts and tools such as cartridge extractors and oil stones, a portable weapons rack for storing rifles, and a portable table to provide additional workspace outside of the truck. 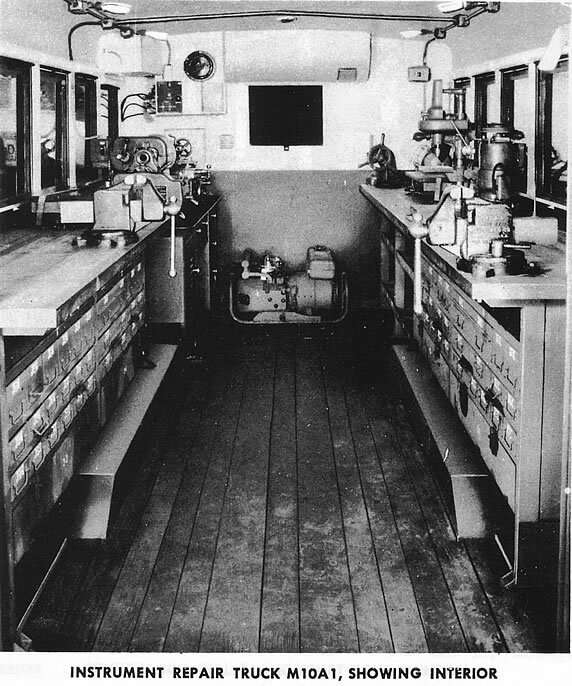 Tools included a 3/8 inch portable electric drill and stand, bench grinder, vises, hack saws, reamers, cleaning rods, gasoline torches, and trigger weights, along with the common hand tools. While usually getting electricity from another mobile shop truck, it could provide its own juice with a portable, gasoline generator of 2-k.w. capacity.